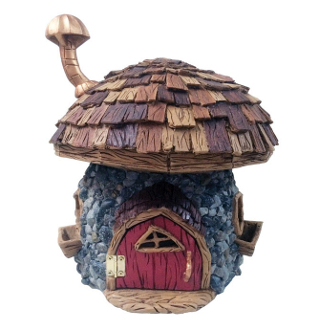 11.5" Shingleton Fairy House for Miniature Fairy Gardens. Door Opens and Closes. 12" Tall.